Today I will show you another of my recent works: It is one of the Perry WWII Range. 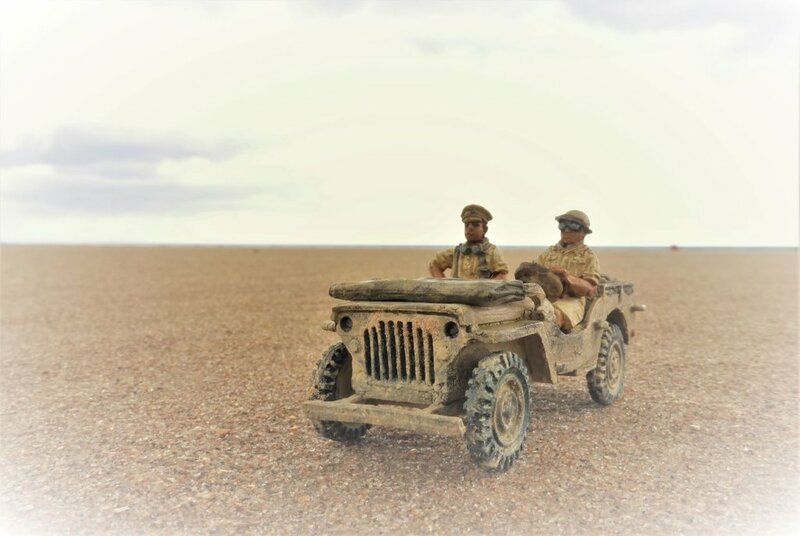 A British Jeep in the North Afrcan Desert on reconnaissance duty. 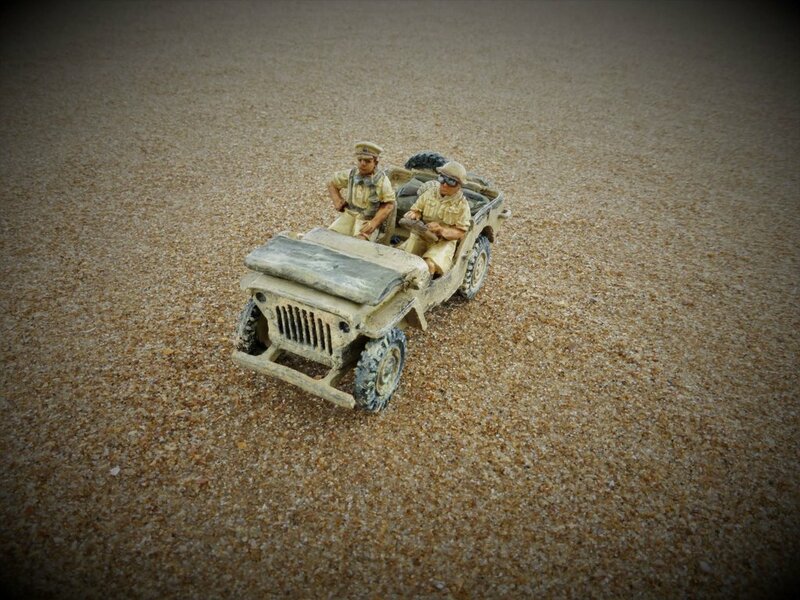 The Jeep is resin but poor quality. The surface of the material is very rough, nothing compared to Fredericus Rex or Germania Figures. Acrylic paint, even with a base coat, will not stick easily. It was my first try with this material. I have also a Sherman of this range and so I am really curious, if it will be a little better. The figures are metal. And they have a very natural apperiance in my point of view. I like them very much and they have been the reason for buying this set. Make up your own mind and reations are warmly welcome. 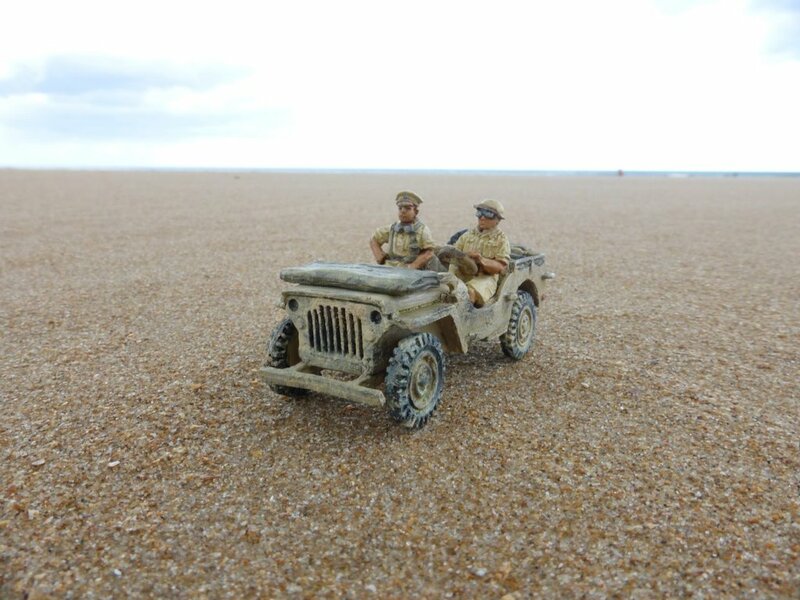 The Jeep as the figures look like an old Airfix or bad Matchbox copy. Especially the man behind the steering wheel. The pose of the commander look more livelike. The Jeep crew of the Matchbox set look better. Good that you tell it is from Perry. Finally I get the feeling that it is an old, long stored several time overseen to do kit. An oversimplified Jeep improved by painting and weathering. 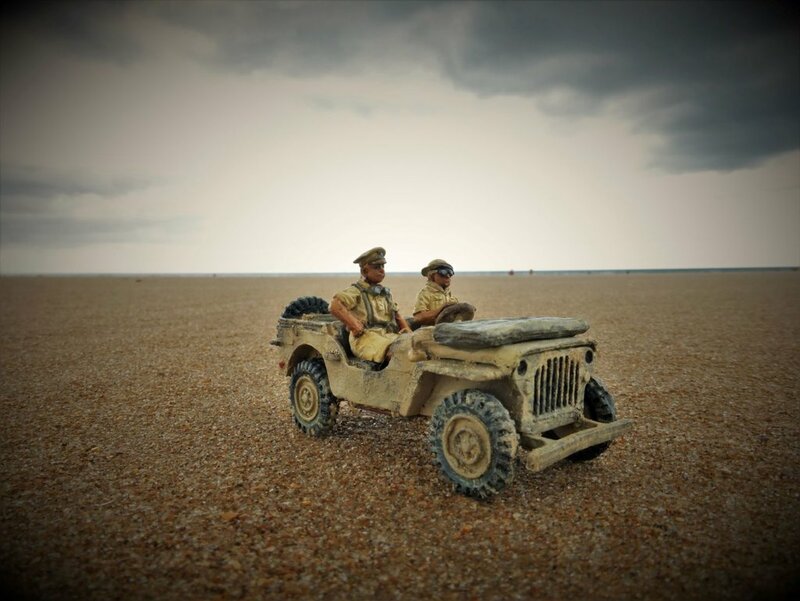 Wiking wrote: The Jeep crew of the Matchbox set look better. Both right, Wiking. I like the Matchbox-Set as well. 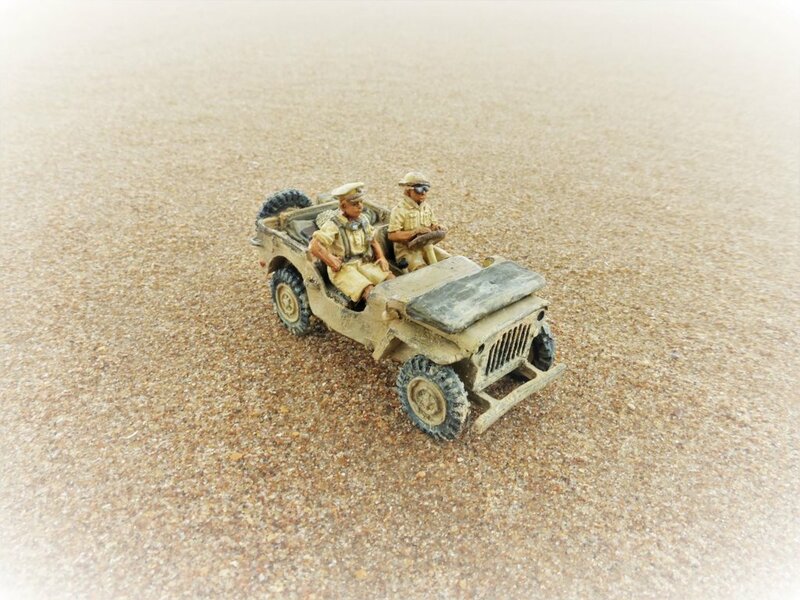 But to be honest, the vehicles from Blitzkrieg Miniatures, going with the very nice Perry Minis are just for gaming and not to be a showcase presentation. I will try the two other once asap to write and show more here. You did great work Jan! PS: that jeep doesn't have lights? Are they stolen? Peter wrote: You did great work Jan! Concerning the lights: They are in the shadow...!